With cooler weather on the way this is the perfect time to have your sprinkler irrigation system inspected and tuned-up. 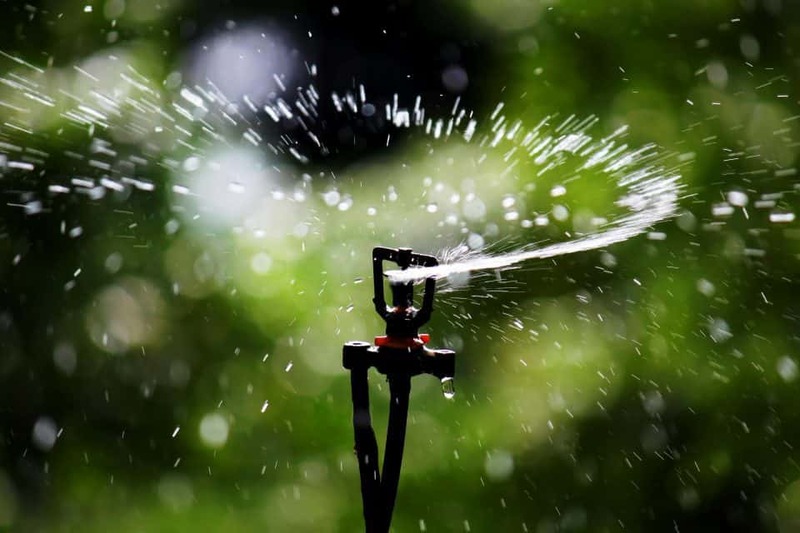 Sprinkler irrigation systems require maintenance, and a thorough checkup can protect your investment by catching any problems early. Not only will you save money on timely repairs, your water bill won’t increase because of faulty equipment. You also don’t want to be subject to water violation fines if your irrigation system is malfunctioning. Some of these issues can be tackled by the do-it-yourself homeowner, especially if the causes are easy to diagnose. For example, it’s easy to identify malfunctioning sprinkler heads with cracked or broken plastic casings. Often the top of the head is completely broken or missing, having been hit by a lawn mower or run over by a vehicle. This happens if the heads were set too high. You can find replacement heads at home centers. It’s important to replace the broken sprinkler heads with the same brand and model as the others in that valve zone (an area where the sprinkler heads are all controlled by a single valve). Most brands and models aren’t compatible with others, and have different flow rates. Mixing them in the same zone will waste large amounts of water. If your original brand isn’t available, you can either find one with the exact same specifications (go to a professional irrigation store), or change all the sprinklers in that zone to match. Changing all the sprinklers is the best option, because if the original brands aren’t available anymore they may be too old. As part of a do-it-yourself tune-up, you can also check the battery in the irrigation controller. Replace a 9–volt battery every couple of years, and a rechargeable one every five to seven years (or when it’s not recharging). The battery should maintain the time and the irrigation system program if there’s a power outage. You need to replace the battery if a power failure occurs, and the controller isn’t showing the correct time once the power is restored. When it’s time for larger sprinkler repairs involving control valves, wiring, controllers, zone additions, broken pipes, and leaks, we do recommend leaving that to a professional. While you’re inspecting and repairing your irrigation system, why not take further advantage of less watering time and do some upgrading. There are controllers now called “smart controllers” which have the ability to read the weather forecast and turn off the irrigation system if rain is expected. They also apply the right amount of water to your plants, thus preventing under and overwatering. During cooler months the smart controller will automatically reduce either the run time or the number of watering days. Many of the smart controllers have apps or websites you can use to access the controller to manage your irrigation system from your phone, desktop, tablet, or laptop. Other features you can add to your system include: soil moisture sensors, which will automatically shut off the irrigation system once the ground is saturated, and rain sensors that turn off an irrigation system after a certain amount of rain has fallen. They also delay the system from turning on after a certain amount of rainfall. 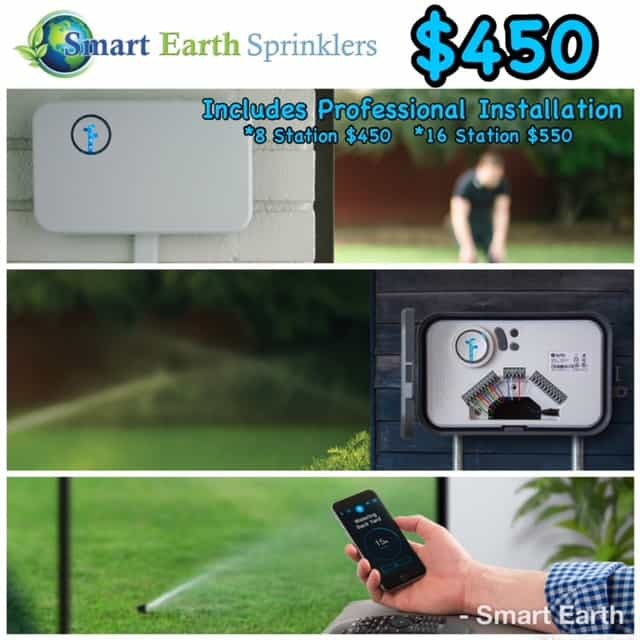 You can save up to 50% on your water bills with a smart system, and you can qualify for a water rebate from Austin Water for upgrading your irrigation system. Would you like some help with inspections and upgrades? No problem! Call Smart Earth Sprinklers at (512) 694-1147 for all your sprinkler system inspections, repairs, and maintenance.